← Attack of the little people! Noble amusing himself as 2014 dawned. This has been an interesting year. It did not go quite as planned – that’s life, at least for most of us (I have known a few whose lives go just as planned, or so they believe anyway). As it is customary at year end to reflect on the past year, and as this is my first year with a blog, I thought it appropriate to go with tradition. So, here are my reflections on my horse life in 2014. 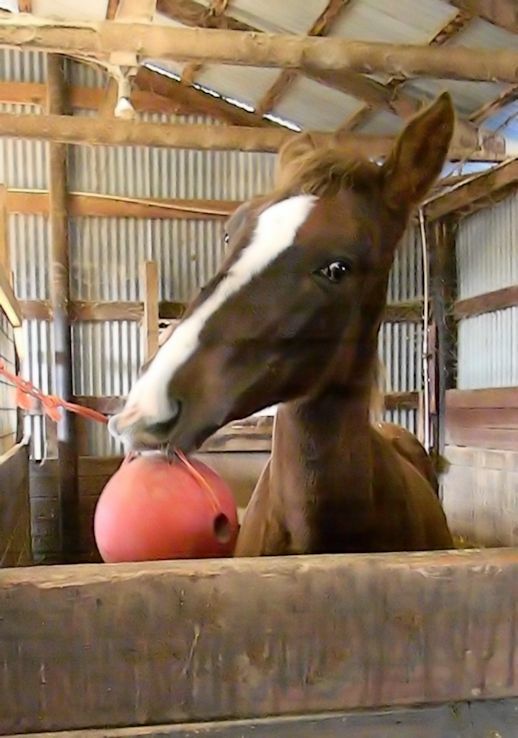 I have made countless errors in the training of literally thousands of horses. Luckily I am aware of these faults, for otherwise I would never have made further progress. It has not been a bad year … far from it, actually. But it certainly has had its fill of frustration on the horse front – at home and more globally. Fortunately, just as frustration would begin to weigh me down, something inspirational would come along to fuel my motivation. 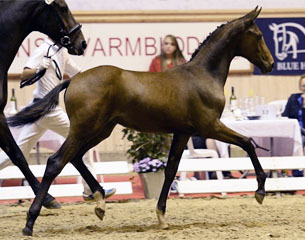 Typical of the top selling foals I’m seeing – showing a lack of connection between neck, back and haunches; and disjointed front and hind leg action. Warmbloods have lost the natural thrust and carrying power they had not long ago. hindquarters, is already yielding lameness and genetic disease that has never before been seen in the world of Dressage. 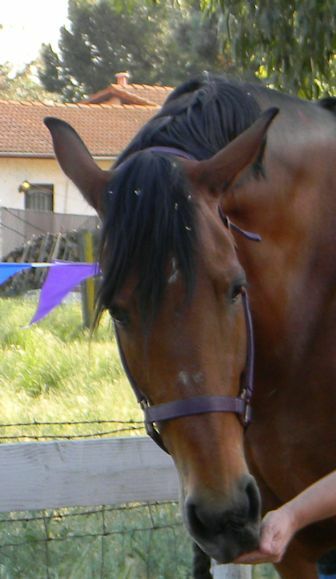 Defects of the muscling in the shoulder, neck and withers is too close to the path taken in the Saddlebred world – which has resulted in a high number of horses with sway backs. Disregard and, worse still, defense of clearly harsh training methods at the top make Dressage seem a horror now. 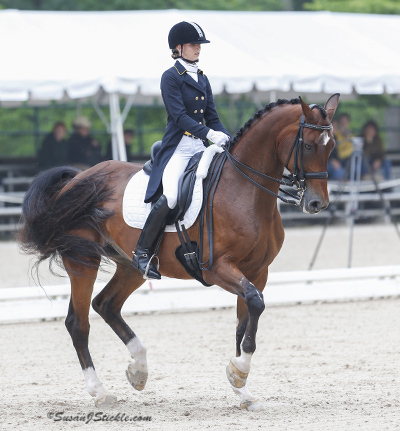 This rider consistently places at the top … yet you cannot call this Dressage. sustainable, as amateurs make up the vast majority of riders in the sport. It also means that all the young horse “wastage”, those that are rejected as not good enough, are still too hot to filter down to amateurs – the classic way that the majority of horses bred for sport have found useful lives. The year also held many frustrations in the form of ubiquitous support of cruel training methods. 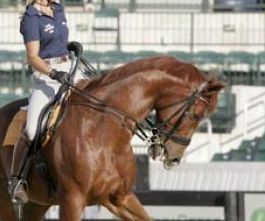 Because the riders may be successful, and the audience may not understand how to read a horse, these practices continue to be justified. Increasingly I found, in this year, that I had to pull away from accounts of the International Dressage scene – too many images of unhappy horses moving in unhealthy ways. The year ended with news that the FEI is making a number of rule changes that will bring more of an audience to the sport – something many people are craving … but be careful what you wish for. When popularity and money become the goal, horses pay the price – we have many examples to prove the pattern. Inspirations – In spite of my frustration, I was surprised to still find some inspiration in the competitive world. Uta Graf remains one of my favorites on the International stage, although she is not as highly ranked as she deserves to be. She gives her horses a lovely lifestyle, and the lightness of her riding is a pleasure to watch. But the surprising inspiration this year came from two other competitors who also embody good horsemanship along with talented riding. Jessica Wisdom and North Forks Cardi. Laura Graves and Verdades in piaffe. Copyright Susan Stickle. Frustrations – Any frustrations involving my horses are largely of my own making. Probably the biggest frustration of the year was lack of time. The job got busier (and more lucrative), which left less time for horses. I fit them in most days, but with four of them to train, none got the time I would prefer to give them – lucky for me, they are excellent pupils. But lack of time was far from the only thing I had to beat myself up over. 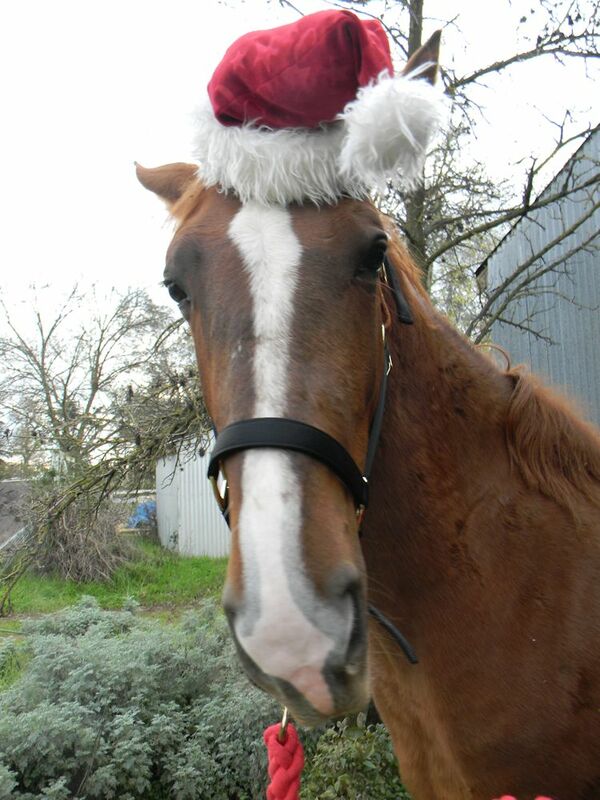 Noble has come a long way from attacking when I’d approach to letting me put silly hats on his head! The year began with me still trying to pick up the pieces of Tally that were left damaged from my ill-conceived idea to send her out for training the year before. It took a while for me to stop living with the guilt on a daily basis. The year also began with the slow, painful work of getting close to Noble. His issues were not of my making, but it was a challenge I was not mentally prepared for. What was going to be a year of riding ended up a year of groundwork. This was also the year that I became frustrated with our location. When I was seriously riding, in the past, I was lucky enough to have easy access to jumps, trails, obstacle courses, and a wide range of venues to keep our sessions fresh. In our present location, I am very lucky to have an arena – but I miss the ability to go galloping, stroll down the trail, etc. It’s a distinct challenge to keep all of us from getting bored, and to get everyone truly fit, when all we have is an arena. We will all have to become well-traveled in 2015, just to keep everyone fresh. My horses are my greatest inspiration, just by being here. It’s a talented and personable little herd that always seem just as happy to see us as we are to see them. Coffee suffered a setback this year, when he pulled a tendon in his hock (back leg). It’s been challenging bringing him back slowly and safely – but he has come back moving better than ever! I now suspect that he came to us with a hidden physical issue, and the time off for his injury resolved whatever that issue was. I can think of no other explanation as to why a horse who previously struggled to overstep at the walk now does so easily! Throughout, he has kept his charming (and slightly punky) spirit. I know a lot of people who could learn from him! Tally ignoring flags in favor of treats. than I’d bargained for – but I forged ahead, as there was no other option. Their capacity for forgiveness, and the trust they both now put in me, have been truly humbling. With each hurdle I would clear, with either horse, came renewed inspiration to go on. I now look forward to each and every hour with them, and my dreams are filled with all of the possibilities! I know that I still have much to learn, and will go on learning until my dying day, not only by riding, but by studying, thinking deeply and observing. So, as I look forward to 2015 in just a couple of hours (and many of you are already there), I have high hopes for the coming year. I wish you and yours all the best in the New Year. May we all have many enjoyable adventures, and learn many new things! 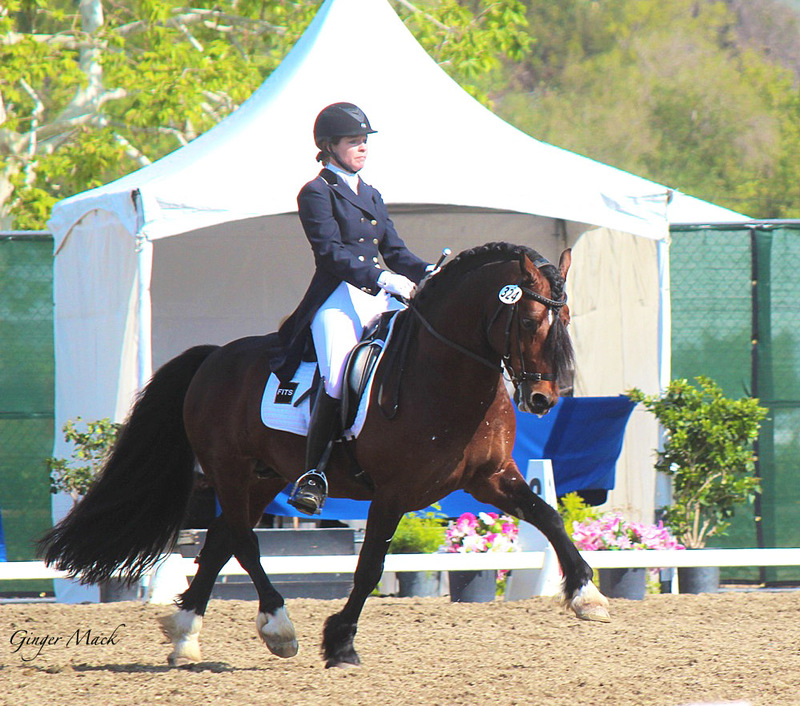 This entry was posted in My Journey and tagged a year in reflection, Classical Dressage, Coffee, competitive Dressage, frustration, goodbye 2014, inspiration, motivation, Nash, Noble, Tally. Bookmark the permalink.